Only space for 4 golfers remains! PerryGolf is delighted to offer clients an opportunity of cruising the length of Scotland’s magnificent Great Glen onboard the beautiful hotel barge Scottish Highlander, while playing some of Scotland’s finest golf courses. Back in May 2013, four friends set out to Scotland for the golf vacation of a lifetime. With the help of PerryGolf, the group was able to get tee times at all ten courses they’d hoped to play, even Muirfield and the Old Course at St Andrews. The trip was undoubtedly a huge success for the golf buddies and the perfect way to celebrate the 40th birthday of Alan Shipnuck. 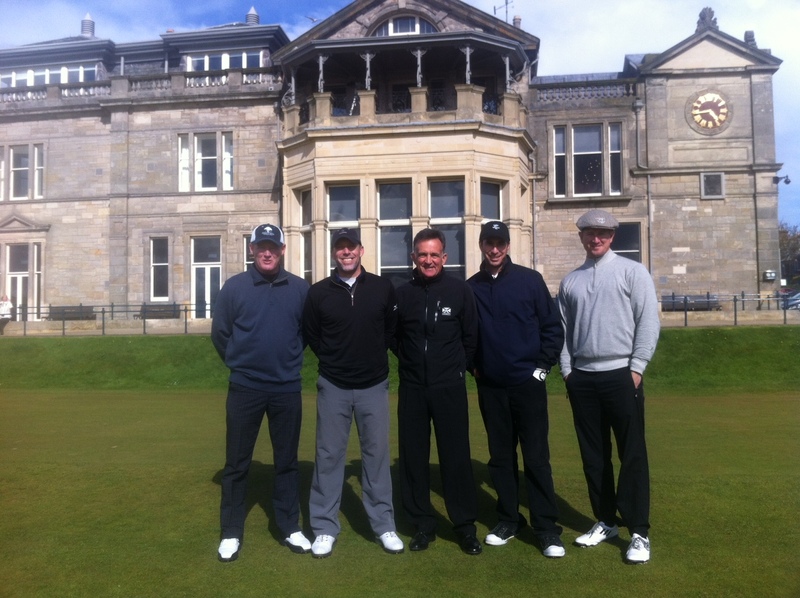 Originally published on golf.com , below is Shipnuck’s grand story of the foursome’s incredible Scottish Golf Vacation.